Shannon Tien is a writer whose work has appeared in the National Post, Maisonneuve, Hazlitt, and the Globe and Mail. The first time I moved across the country, I scribbled my parents’ phone number onto the first page of every book I owned. I stuffed the books into ten empty shoeboxes, which were then loaded on a moving truck bound for Montreal. For my second move, this time to Vancouver, my boyfriend and I packed our novels into sixteen (much heavier) boxes. We hauled them to a tiny town just over the New York state border, where we shipped them via United States Postal Service to Point Roberts, Washington (it was cheaper than Canada Post). When the boxes arrived, many had been torn open and resealed; one contained a copy of My Life as a Radical Jewish Woman that didn’t belong to either of us. Move number three involved eighteen regulation-sized Maple Leaf Storage boxes. My back ached just looking at them. Though we had hired movers to take care of the lifting, the size of our collection—as well as the kilometres they had travelled criss-crossing the country, and the dollars I had invested in lugging them from place to place—weighed on my mind. On the three-day drive that followed, as our library followed somewhere behind us, my boyfriend and I listened as comedian Amy Poehler’s pleasant voice filled the car. It was a recording of her memoir, Yes, Please! At some point between Manitoba and Ontario (chapters 10 through 14) I realized that I could probably fit all 360 of my books on my phone. This wasn’t the first time I had ever listened to an audiobook. But the experience felt different. Listening to the jokes instead of reading them was akin to attending a live comedy show; they hit harder and in all the right places. Seth Myers and Patrick Stewart were included guest readers, and their improvised banter with Poehler made it feel as though I was listening to a secret that the book’s print readers would be missing out on. It didn’t feel like reading Poehler’s book—it felt better than that. I couldn’t help but wonder why I valued my collection of dead trees so much. At the same time, however, I couldn’t help but think of literary critic Harold Bloom and his sermon about the inferiority of audiobooks. “Deep reading really demands the inner ear as well as the outer ear,” he once said. “You need the whole cognitive process, that part of you, which is open to wisdom. You need the text in front of you.” Bloom’s words are often taken up as the rallying cry of print purists who call “cheat!” on any book club member who confesses to having listened to a book rather than read it. Like Bloom, I was conditioned to distrust any reading experience that required less than my full attention. But during that drive, a new thought had entered my head and refused to leave: what was so great about reading print, anyways? The first recording of literature dates back to the invention of the phonograph in 1877. Wax cylinder technology could only hold up to a maximum of four minutes of sound, making recordings of novels virtually impossible. People mostly listened to poetry, or small excerpts from books. It wasn’t until the 1930s, with the invention of the gramophone and long-playing (LP) records that could hold up to 25 minutes of sound, that full-length novels made their audio debut, spread over multiple records. They were primarily developed for blind soldiers in America and Britain who had returned from the First World War. Titles on offer reflected the tastes of the day: Shakespeare, the Declaration of Independence, Agatha Christie, the Bible. Books on tape followed in the 1970s, eventually succumbing to CDs and, now, digital files. Today, audiobooks are the fastest growing format in publishing, with 2016 sales skyrocketing by 35 percent over the previous year. (E-book and print sales, by comparison, continue to slump.) Some books, such as Stephen King’s Drunken Fireworks, have even been released exclusively in audio format. The same tone of embarrassment can be found outside the realm of book critics as well. 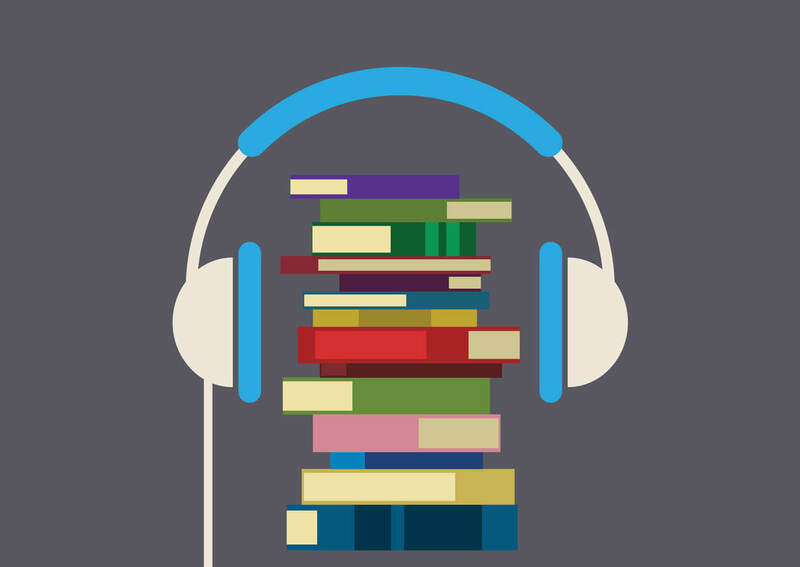 A blog post on publishing website Digital Book World details the shame the writer feels about his newfound audiobook habit. “When someone mentions a book and I offer that I recently read it, I rarely mention that I actually listened to it. I feel like I’m hiding a big secret,” he writes. The post is appended by numerous comments from readers who feel the same way. “I understand what you mean. Not having quite the motivation of Harry Potter fans, I listened to rather than read several in the series. I still don’t know how to refer to what I did,” responds one reader. On Reddit, one can find an entire thread devoted to the question, “Does listening to audiobooks feel like cheating to anyone else?” “It just feels effortless and simply entertaining instead of illuminating,” the poster explains. Some researchers have delved into the format debate. A study from the University of Waterloo found that people who listened to books rather than reading silently experienced more mind wandering, less memory retention, and less interest. The study was widely circulated by media in 2014 under headlines such as “Your Brain On Audiobooks: Distracted, Forgetful, and Bored.” But a closer look at the study reveals some troubling methodologies, such as having participants self-report mind wandering. And there’s also the fact that silent reading didn’t score so well on the same categories when compared to reading aloud, which was downplayed in many interpretations of the results. There’s also science that counters the Waterloo conclusion. University of Virginia psychologist Daniel Willingham argues that, when it comes to your brain, there is no real difference between listening to a book and reading it. Audiobooks listeners may get to skip the decoding process (referring to how the brain figures out words from print), seemingly doing less “work” than visual readers. But by around the fifth grade, most readers are so fluent in decoding that there is no notable disparity in the amount of “work” required to read than required to listen. Our cultural anxiety about audiobooks may have deeper roots in media and educational history, dating as far back as the beginning of the Enlightenment period, when the West made a general shift towards the privileging of sight over the other senses. After all, oral storytelling predates print and writing by thousands of years. While stories such as Beowulf and The Iliad were being orally recounted to listeners as early as 750 BCE in Europe, silent private reading only became widespread in the second half of the 19th century, when the printing press made books more accessible. Slowly, serialized novels in newspapers and lending libraries popularized the habit of quiet reading. In terms of the history of storytelling, that makes silent reading a fairly new activity, and one that is, funnily enough, incredibly close to the invention of sound recording and the first recorded books—Thomas Edison’s phonograph also arrived in the second half of the 19th century—flipping the idea that reading print is the “traditional” form of consuming stories on its head. According to poetry scholar Jason Camlot, cultural consensus around silent reading as the dominant way of experiencing literature really took hold with the introduction of “New Criticism” to literary studies in the 1940s. The New Critics were a group of scholars who believed that texts should be analysed and interpreted as individual units of meaning, separate from historical or biographical context, in a mode they termed “close reading.” As such, an oral performance of a text would have been thought to unfairly influence literary interpretation. As the popularity of New Critical thought became widespread in university classrooms, so too did silent “close” reading. However, Camlot notes that, particularly in regards to poetry, this was not always the case: “As English curricula developed in the 19th century and moving into the early 20th century, literary interpretation very often involved reading poems out loud so that a student doing or developing an interpretation of the poem actually entailed figuring out the best way to read the poem out loud.” As the head of Spoken Web, a digital sound archive of Canadian poetry readings, Camlot is now one of several poetry scholars reintroducing oral renderings of text back into the classroom. “There are a lot of things that are silenced when you’re reading a poem on the page,” he says. Sterne notes that we don’t worry about “cheating” if we listen to music while doing housework, or fail to give every single painting in a gallery our full attention, so why would we apply this anxiety to our experiences of reading? Some people may be looking for a silent, focused experience when they open a book, but others might be searching for other things that are not strictly quantifiable, such as emotional connections, expanding perspectives, or distraction from a long day at work. It may be that listening to David Sedaris while doing the dishes will provide just the experience you’re looking for, and who are we to say that that’s not meaningful? Romanticizing reading as an experience of silent, rapt attention delegitimizes all the other benefits that storytelling offers. Audiobooks’ popularity doesn’t look like it’s going anywhere soon—Penguin Random House Canada, the largest publisher in the country, is now embarking on its own audiobook initiative to record the works of Canadian authors. Maybe instead of arguing about which medium offers a “better” experience, we should be embracing the opportunity to shed our culturally ingrained reading guilt. I, for one, am working on the latter, amending my shopping habits and paring down my bookshelf with an eye towards which texts I truly want to experience in print, and which I would be open to experiencing in audio. The next time I move, I look forward to a much lighter load. In the early 1900s, Canada only allowed 100 Black immigrants to enter the country each year. How did we evolve from bigoted policies to a more multicultural nation within a few decades? Is a Walk in the Forest Better Than a Trip to the Doctor?